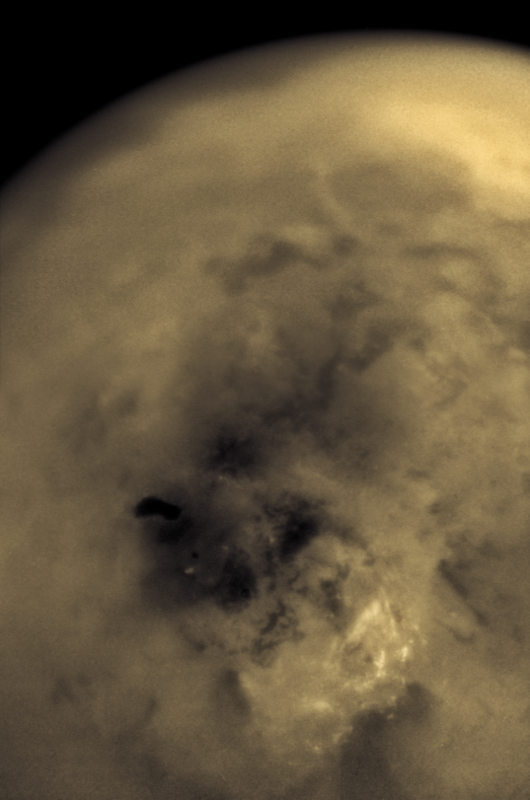 Cassini images of Titan are very challenging because Titan's haze obscures the surface in most wavelengths of light. There's only a small window in near-infrared wavelengths where Cassini's Imaging Science Subsystem can discern surface detail, but even there it's very, very blurry. 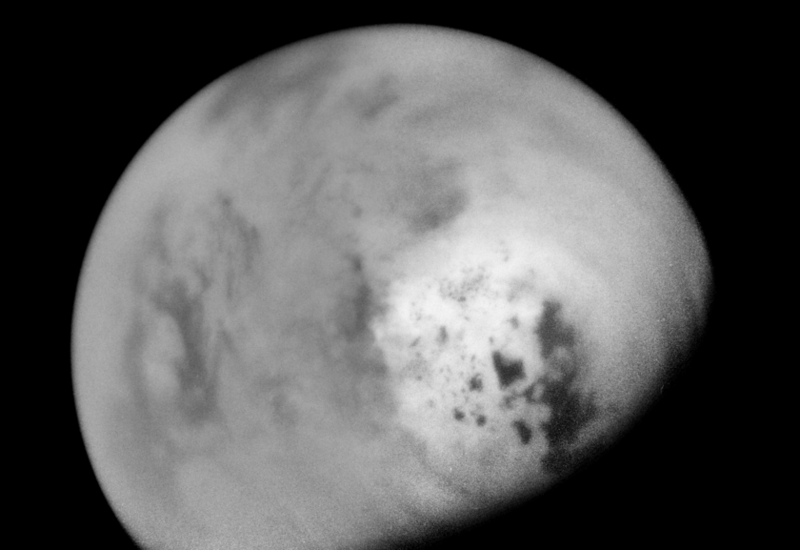 This is one of the nicer views of Titan's lake-filled north pole from the camera instrument that I've seen. Ian Regan recently posted it to his Flickr page. I especially like how the north pole is not only home to dark lakes, but also to some of the brightest surfaces on Titan. Those bright areas among the dark lakes are currently thought to be evaporite deposits, but they're evaporite materials unlike any we know on Earth. Evaporites on Earth are materials like salt and sulfate minerals, which are bright. I'm actually pretty surprised that Titanian evporites would be bright -- I would have thought they'd be dark, tar-like material! Here's a companion view of the south pole, which is less lake-y and also less bright, except where there are clouds. This view is made from much older data, taken early in Cassini's mission when it was summer in the south pole. Nowadays, Cassini's cameras can no longer see the south pole; it's in winter darkness. And here's a pole of a different moon -- Enceladus, imaged by Cassini just 10 days ago. The south pole is now hidden in winter darkness -- we won't see it again until we send a new camera-equipped mission to Saturn. This image was taken during Cassini's final close flyby of Enceladus. 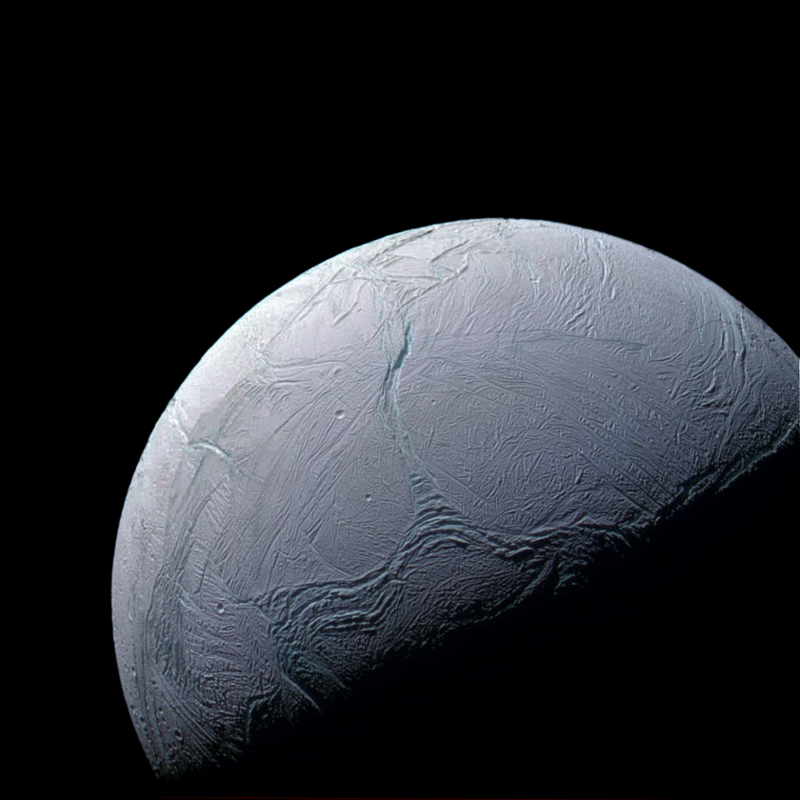 It captures Enceladus' heavily fractured southern hemisphere from a distance of about 83,000 kilometers. Running left to right near the terminator is Cashmere Sulcus, and extending north towards the limb is Labtayt Sulcus. Mosul Sulcus is near the limb on the left. The south pole itself is in winter night. Typo: "Cassini's lake-filled north pole " Lakes more likely on Titan than on Cassini. The picture of Enceladus is so beautiful! Substituting "Cassini" for "Titan" or "Saturn" is an error I make with distressing regularity. There's a neuronal malfunction somewhere. Thanks for pointing it out, I've fixed it!